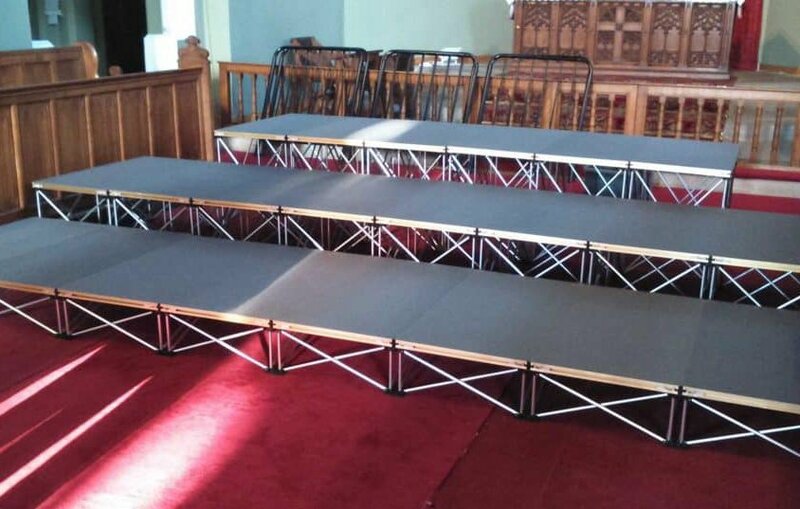 Stage deck systems for Choirs and Choral groups and Church gatherings fall into their own category of staging due to its very specific requirements. 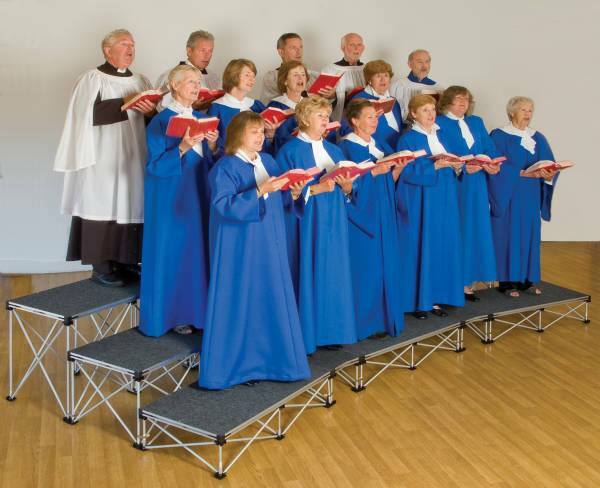 Be it for a seated choir or standing choir, the system will almost always be a tiered multi level structure, normally with 3 or 4 stage height levels to give the correct tier angle to allow for variations in performers heights. 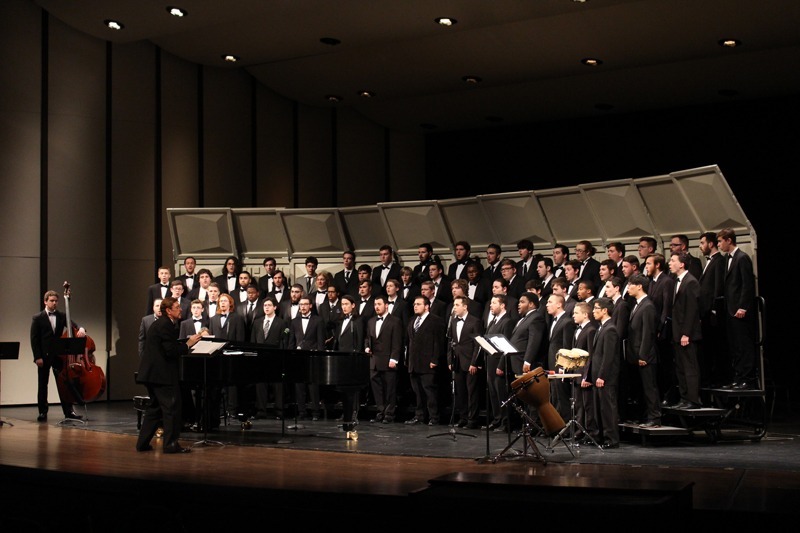 The obvious advantage of a tiered system is far better acoustic dispersion from the choir, as the various vocal registers can be easily separated, and more importantly have an unimpeded view forward toward their audience as well as not having to sing into the back of someone’s else’s head. 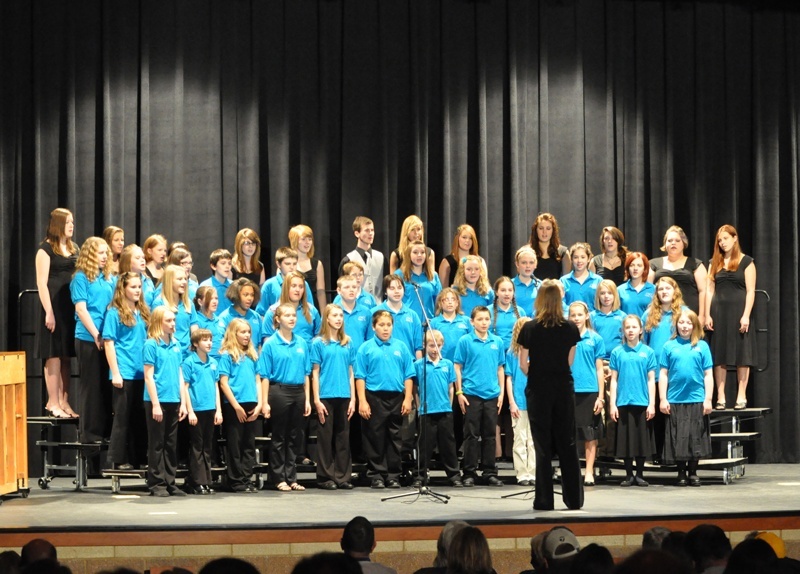 The difference this staggered height makes in both natural volume and clarity to the performance cannot be dismissed. 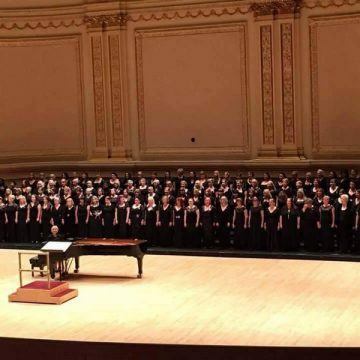 It also allows the audience a nice clear view of the performers as individuals rather than a block of bodies. 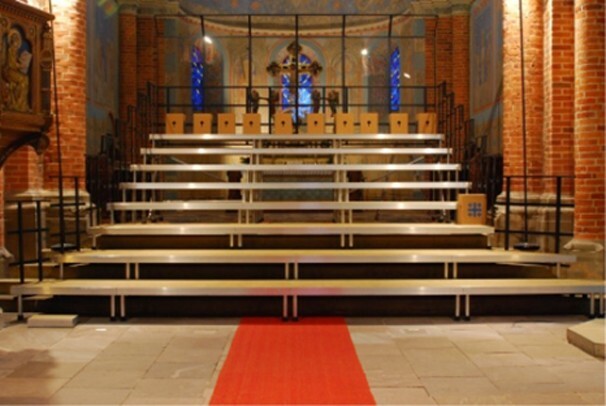 Modular choir staging can be configured to suit your needs, depending on if it’s to be a permanent set up or will be being transported between venues. 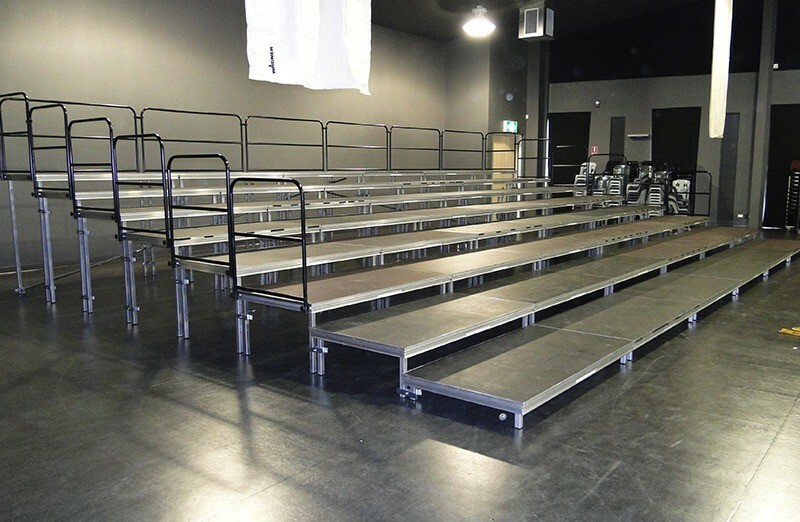 It’s more economical to purchase larger stage platforms, but this can be a problem if it needs to be easily fitted into a normal sized car, so the platforms are available in 2m and 1m lengths, with depths of 1m and 0.5m, helping to ensure you don’t have to compromise on the staging just to suit your available vehicle. 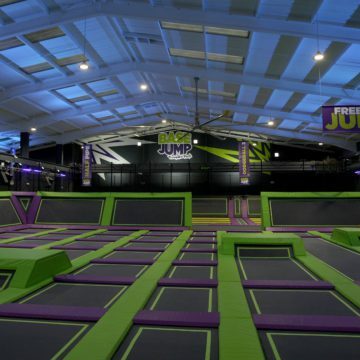 As a general rule, you would choose a 1m depth platform for seating and standing, or the 0.5m depth for standing only, with the larger 2m wide deck allowing up to 4 chairs, or 5 to 6 people standing. 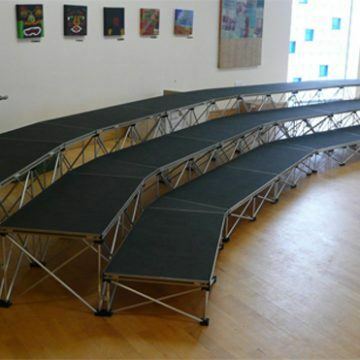 So for example a 6m wide x 1m deep seating tier would allow 12 chairs, or could take up to 15 standing, and that’s just one tier. 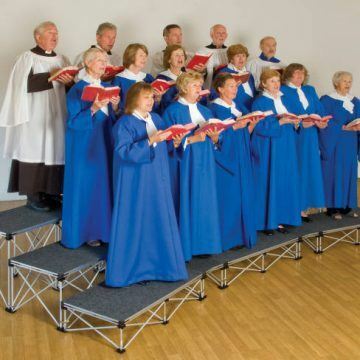 Custom designed choir stands are also available in the ultralight collapsible stage deck design. 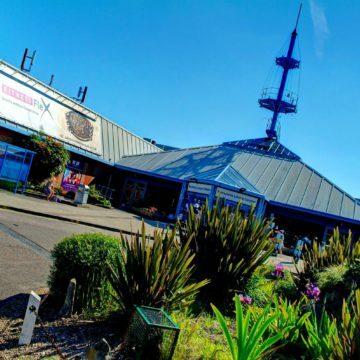 Featuring rectangular platforms which are joined together with small angled platform sections to give a curved design to the finished structure, they are perfect where space is limited or where transportation of a larger system isn’t possible. 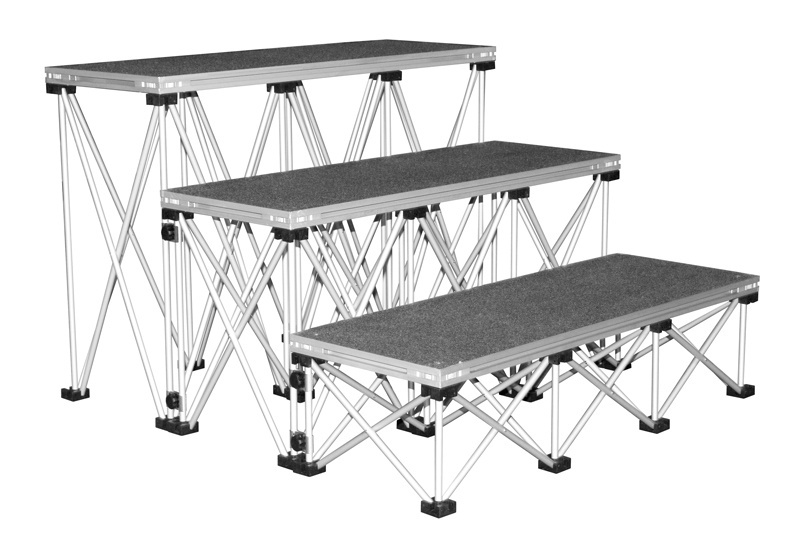 For permanent installations a solid leg and platform construct will always be preferable as its heavier engineered and is less prone to wear and tear than the ultralight units, but they should always be considered during your planning stages as they may just suit your needs better. 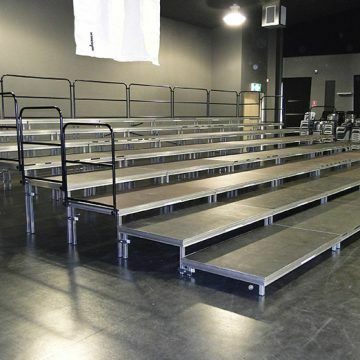 Often overlooked at the initial system planning, having this type of tiered seating also provides you a floor based level, as the first platform is at least 200mm off of the floor, allowing chairs or standing in front of the staging set up. 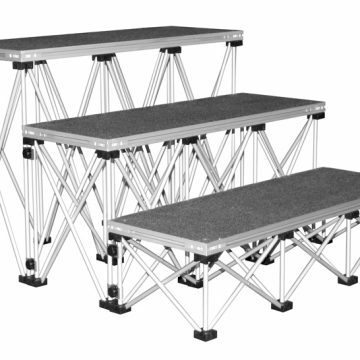 So for example a 3 tier set of stage decks actually gives you 4 staggered height tiers. 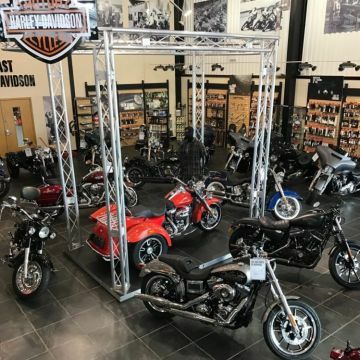 This may sound obvious, but it’s often easily forgotten and you can end up with one more staging level than required. 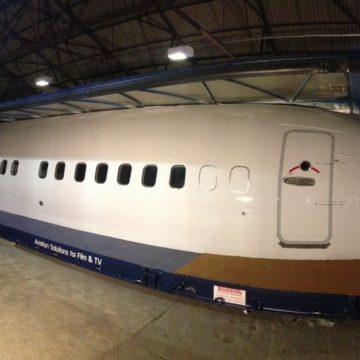 Normal height variations between tiers is 200mm. 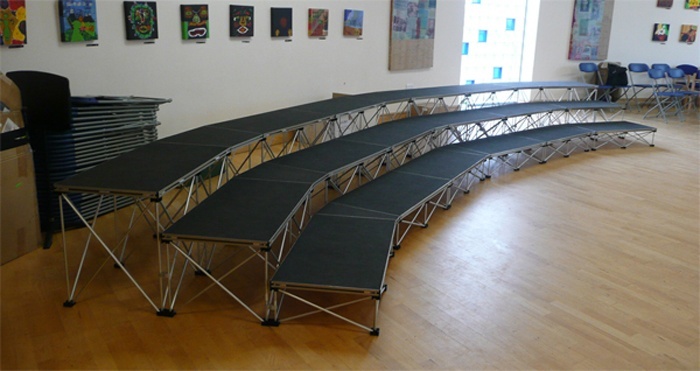 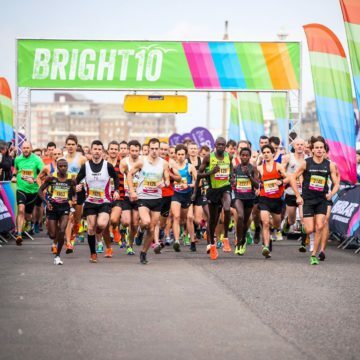 This gives adequate elevation above the previous stage tier whilst being low enough to allow the platforms to be climbed as you would a normal set of steps, avoiding the need for additional stair units. 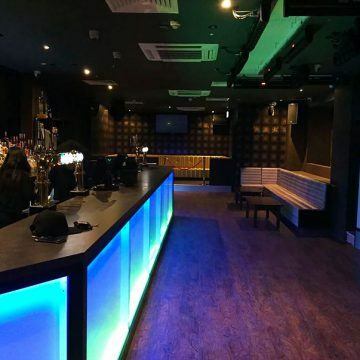 As with all Stage Concepts products, projects and system designs, the team here at SC Projects are available to discuss any questions and enquiries you have. 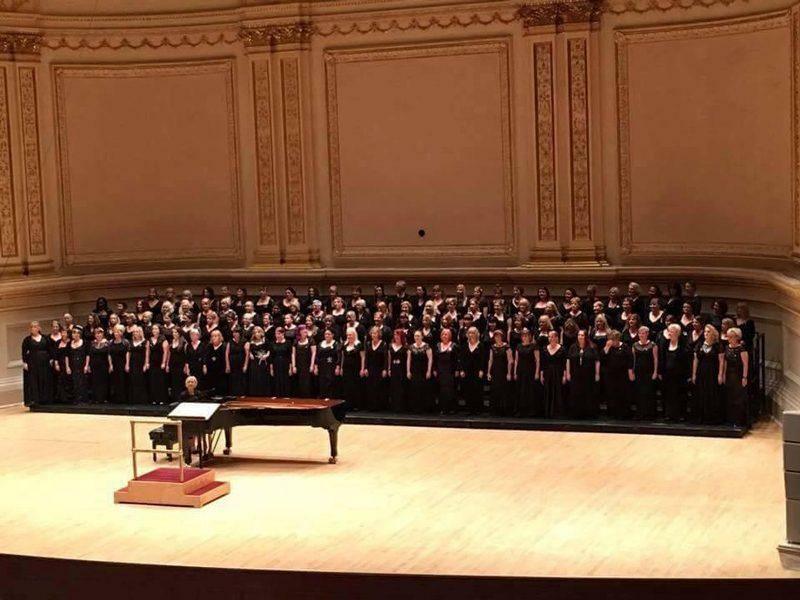 Trust us to help provide you with the choir staging and tiered seating for your church, school, club or house of worship.